The three labels study participants were randomised to: traffic light labels, health star rating and nutrition information. 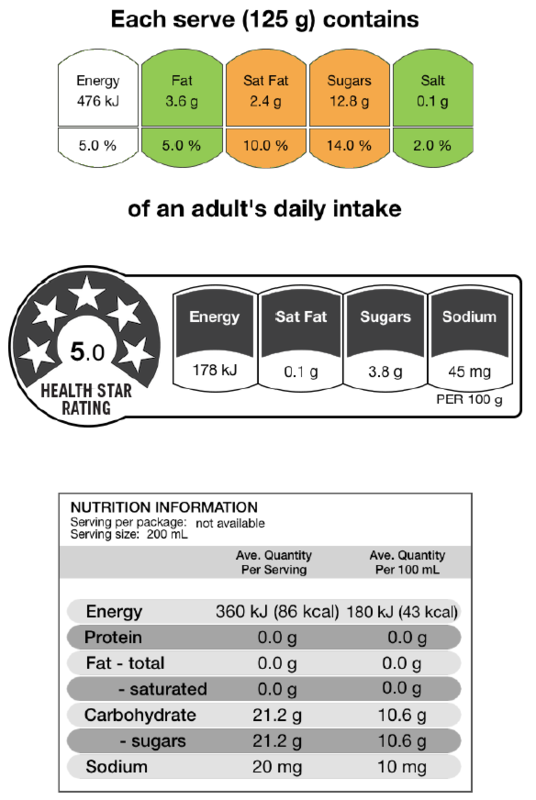 Health Star Rating and Traffic Light nutrition labels have a minor impact on New Zealand consumer healthy food choices, according to the Starlight trial – a randomised trial just published from our HRC-funded DIET Programme based at the University of Auckland. The study involved 1357 New Zealand shoppers split into three groups of about 450 each and randomly allocated to one of three labels: Traffic Light labels, Health Star Rating labels, or Nutrition Information Panels. 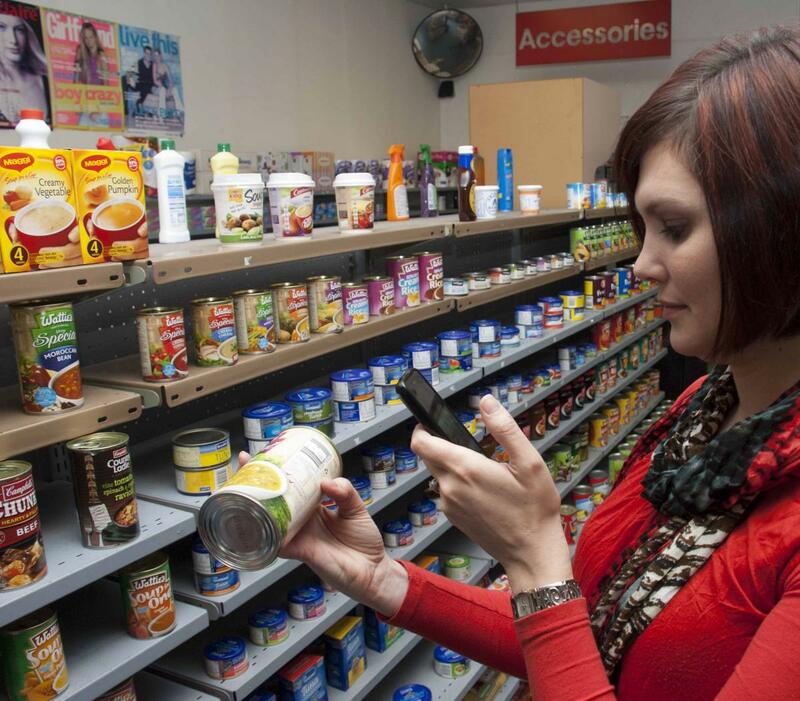 Participants used their smartphones to scan food products in supermarkets to ‘see’ the allocated nutrition labels. The study concluded that labels which interpret healthiness such as Traffic Light labels (TLL) and Health Star Rating (HSR) labels, had little impact on food purchases among study participants, compared with the traditional Nutrition Information Panel label, although they appear useful for a subgroup of people who use labels a lot. We highlight three potential reasons for these findings. First, there may be genuinely no effect of FOPL or HSR on consumer choice. Second, the study sample was largely made up of people who were already very health conscious – with little room to improve. Third, whilst we think our study design was innovative in randomising study participants to use smartphones to ‘mimic’ front of package labels, it was not actually a randomisation of actual labels on supermarket shelves – that was simply impossible in the real world. However, a ‘positive’ finding of the study was that those using the interpretive labels found them significantly more useful and easier to understand than those using the Nutrition Information Panels. Moreover, within the people randomised to the HSR or TFL labels, those study participants more frequently using their smartphone to see what label a food item got had significantly healthier food purchases than frequent users of current Nutrition Information Panels. This is both encouraging and interesting, but it is also a post-hoc analysis – so it is less reliable than the main study results. Our study did not, and could not, assess how the food industry reformulates food in response to front-of-pack labelling. We strongly suspect – and there is parallel evidence (here and here) – that this will be the major mode of impact of HSR or TLL. That is, whilst our research suggests the current HSR will have only a minor impact on the food consumption of New Zealanders – the (big) impact is likely to be by food industry reformulation of packaged foods to have ‘better’ HSR scores. There is a need for robust independent evaluation of food industry uptake and reformulation practices in response to the HSR system being rolled out in Australia and New Zealand. In the meantime, policy-makers should explore other routes to improving the nutritional environment in NZ to reduce the burden of and chronic diseases. Banning junk food advertising directed at children. Completing the phase-out of sugary drinks in NZ schools and extending to hospitals. Taxing sugar-sweetened beverages is about to start in the UK (with the funds used for promoting sport in schools). Considering options for reducing the dietary salt intake of NZ (we have modelled 32 different interventions – nearly all of which are cost-saving (1-3)). Nghiem, N., et al., Health and economic impacts of eight different dietary salt reduction interventions. PLoS One, 2015. 10(4): p. e0123915. Nghiem, N., et al., The health gains and cost savings of dietary salt reduction interventions, with equity and age distributional aspects. BMC Public Health, 2016. 16(1): p. 423. Wilson, N., et al., Modeling health gains and cost savings for ten dietary salt reduction targets. Nutr J, 2016. 15: p. 44. Featured image: Starlight Trial, University of Auckland. HSR are pretty comical things. Sugar rich cereals rating four. Mammoth drinks having five stars with a ton of sugar, fat and kilojoules. Be surprised if they are of any use to anyone.